For this version of vegan bang bang cauliflower, I didn’t want to fuss with the coating and frying steps (less steps + less clean up = dinner success), but I didn’t want to miss out on all the flavour and crunch. Instead I opted for a lighter marinade made with a blend chilli sauces, fresh garlic, ginger, and lime juice. The florets are then tossed in the tangy mixture and roasted in a high-heat oven for 30 minutes, until perfectly crispy and slightly charred. 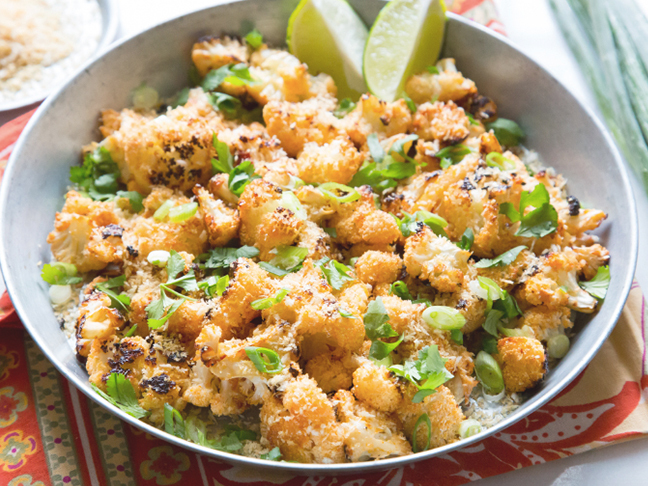 A light garnish of toasted panko breadcrumbs provides extra crunch, and the scallions and coriander leaves pack fresh flavour and a pop of colour! 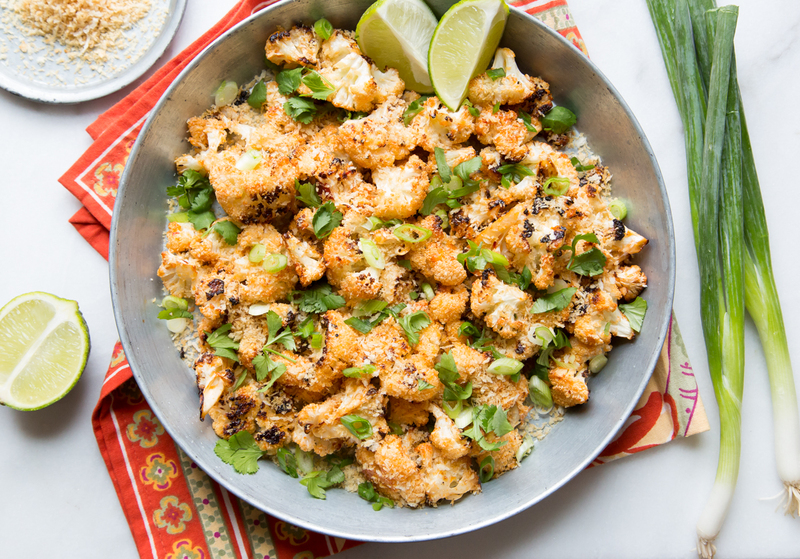 This bang bang cauliflower comes together in a snap and can be served up as a hearty main dish for two, or a healthy side dish for four. Step 2: In a big bowl whisk together the lime juice, peanut oil, sweet chilli sauce, hot chilli sauce, grated garlic, and grated ginger. Place the cauliflower florets into the chilli sauce mixture and toss to coat. 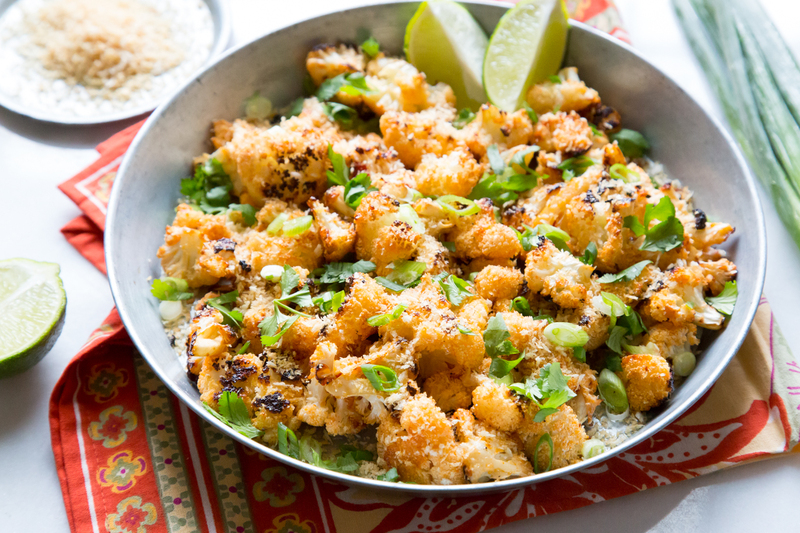 Step 5: Once the cauliflower is done roasting (should be golden/crispy and slightly charred), transfer to a platter and top with the toasted breadcrumbs, sliced scallions and chopped coriander. 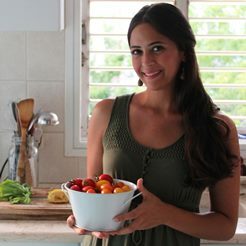 Serve with extra lime wedges and dig in!